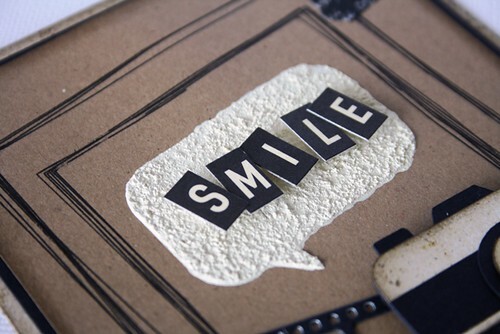 Just Because & Smile - 2 Post Today! Today I have 2 cards to share with you! The first one is for my Little Red Wagon challenge. 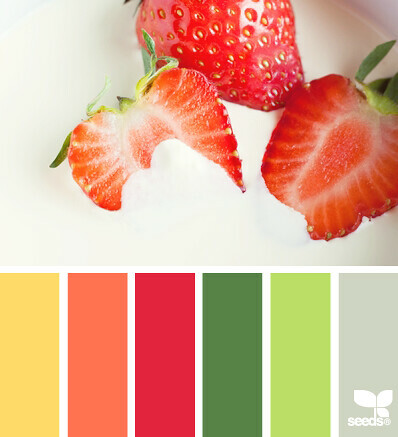 Joanne has a colour challenge for us! Love these. 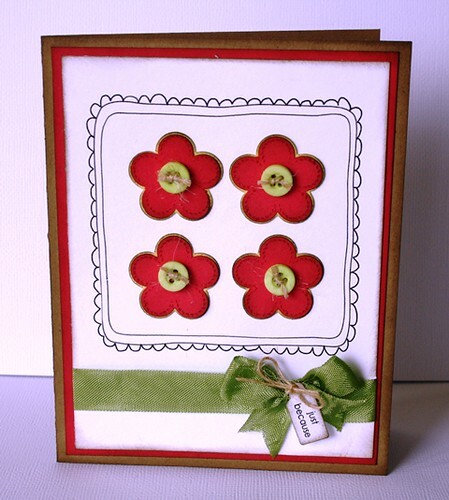 I pulled in the greens and reds and used a new flower that I purchased on the Silhouette online store. 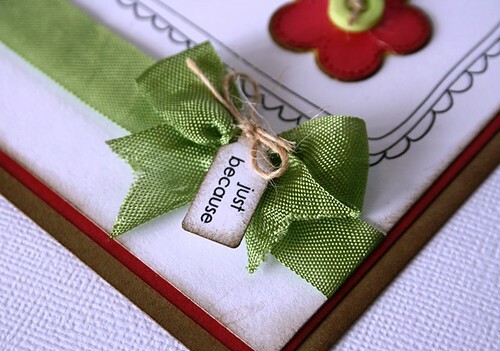 I added some green ribbons and a sweet tag tied on with twine. I also played with my sketch pens in my Silhouette! I think I have a new addiction. 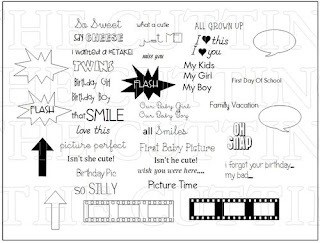 They are so fun to use and the possibilities are endless. 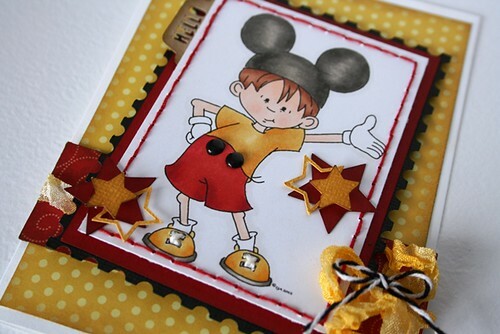 I hope you will visit the 'girlfriends' blogs and see what they have created using Joanne's colour challenge.....and maybe even play along. 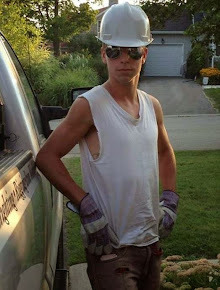 You can click on the links on my sidebar to visit them. The second card I made is for this weeks project for The Cutting Cafe! I am in love with this file. 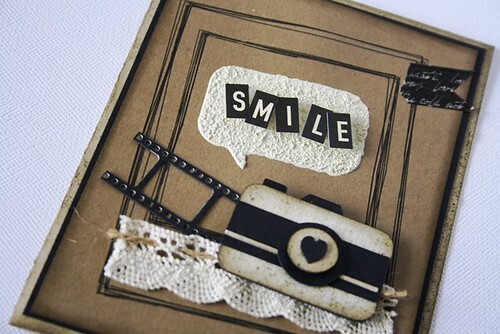 I used the Polaroid and Camera Fun set! 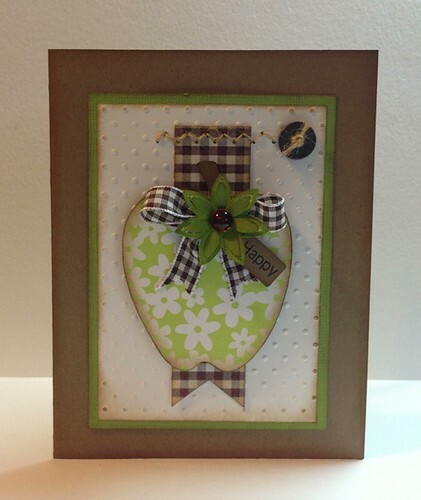 Here is card that I created using this set! 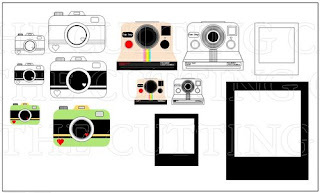 Isn't the camera adorable? I think I will use this over and over again. There are so many possibilities. 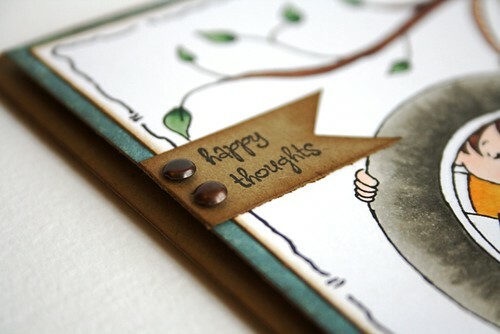 I also played with a template and some texture medium to create the backdrop for my sentiment. I tinted the paste with some Mister Huey (with the help of my BFF). I also had more fun with my sketch pens and used them to draw the polaroid on my background rather than using it as a cutting file. So much fun!!! I hope you will visit the Cutting Cafe blog later today and see what all the other ladies have created using this awesome file. I used a file to make a Center Panel Step Card. I have seen these made but have never tried one myself. I used my oval shape tool (on the Silhouette) and made my own basket. I am having fun making my own cutting files. 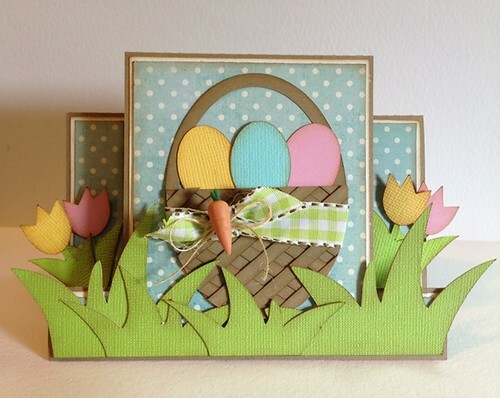 I cut strips and layered them to make it look woven and then used my oval tool to make some eggs to fill my basket. I found just enough of this green check ribbon in my stash to wrap around and tie a knot (there wasn't enough to make a bow). 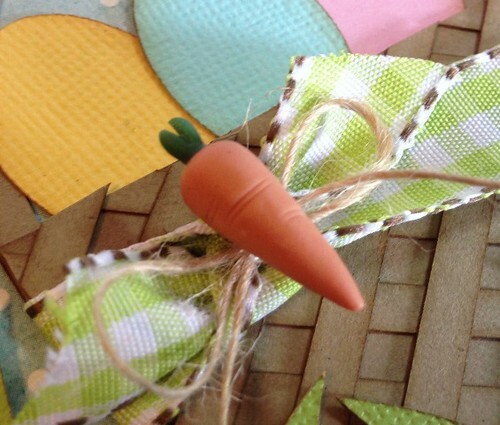 I added some twine and this little carrot embellishment that I had leftover from last year. 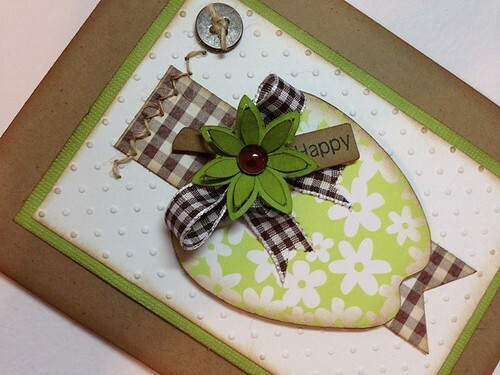 The grass and tulips are pieces from other files I had purchased in the past, but they worked perfectly for this card. 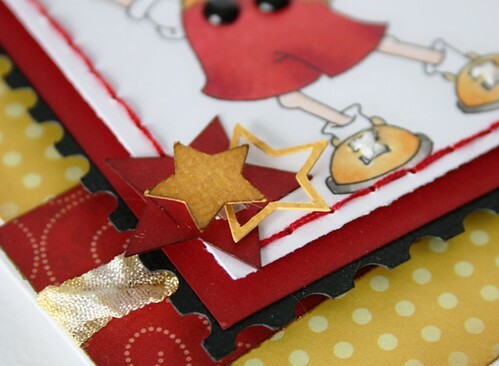 Thank you to Jayne for issuing this fun challenge and I hope you will visit the Little Red Wagon blog and see what everyone else creates. This week at The Cutting Cafe, we are focusing on the colour green! We had three different file sets we could choose from and I picked the Apple Box Set! No file is just what it seems to be. I love to dissect the contents and see what else I can make. The obvious would be to make a box, but I went outside my box and created a card. I used the PDF version of this set and took a snapshot of the apple and then opened it in Paint. Next I saved it as a jpeg and then imported it into my Silhouette software. I traced the image to create cutting lines and VOILA!!!! It was now an apple cutting file. 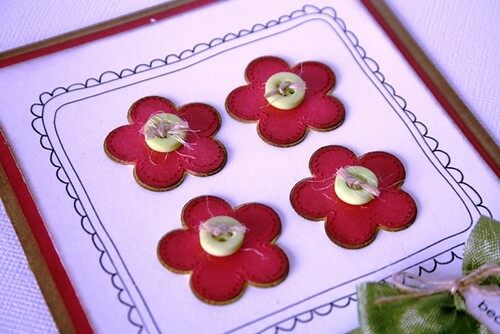 I cut the apple twice, once in kraft cardstock and then again in the green floral pattern. I cut the stem off the green floral apple and then layered it on top of the kraft apple. This way I have a kraft stem and a green apple. 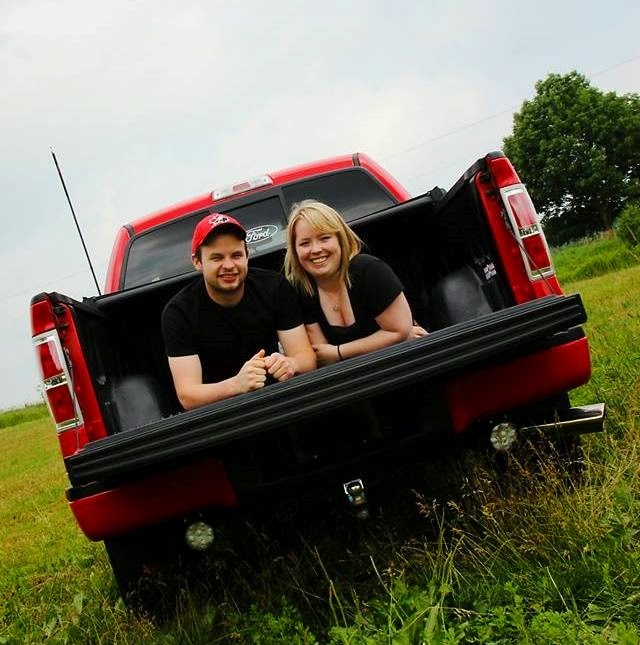 Clever huh? 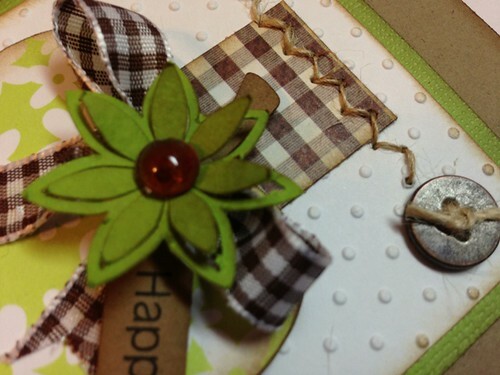 I added this 3D flower (from the Silhouette online store) and a Dew Drop in the center. 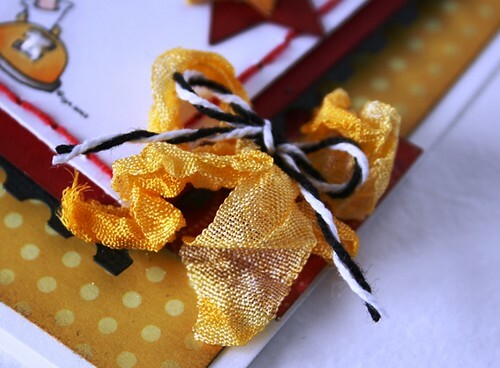 I tied a bow out of my favourite ribbon and then added some stitching out of twine and a button for fun. 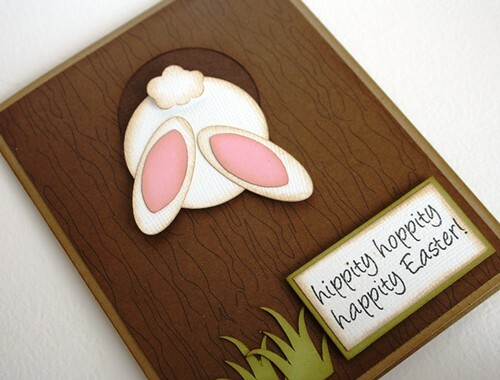 I embossed the white background using my Swiss Dot folder and added a sweet little tag for my sentiment. I hope you will visit again tomorrow for my Little Red Wagon reveal. Our challenge this week is Easter. 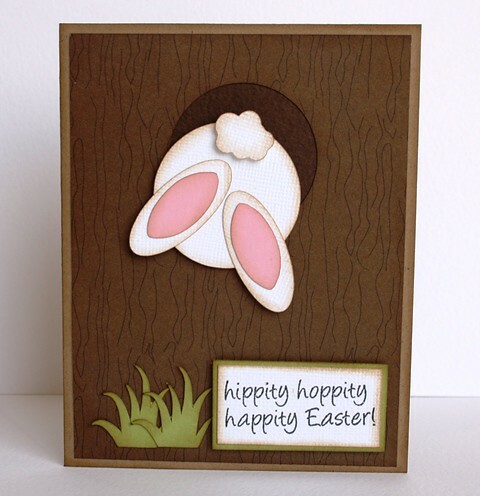 I am excited to share another card that I coloured for Cheryl at Sassy Cheryl's stamps! 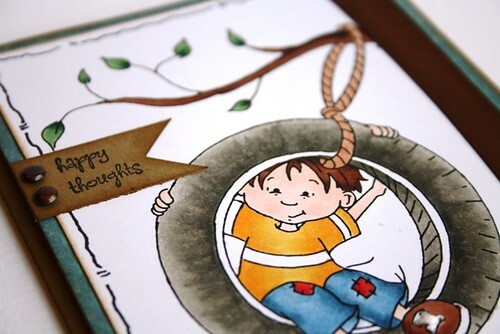 This one is called Noah's Tire Swing. You can check it out here. 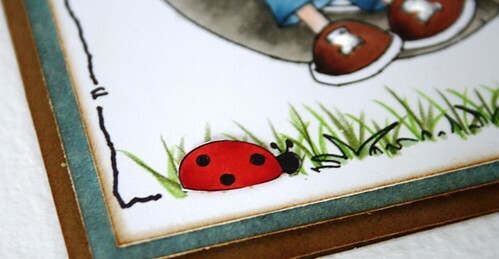 I added in this sweet little ladybug that comes with this set! I made a mini banner to use for my sentiment, which I stamped! I also did some detailing with a black marker around the outside of my card. I added a couple of mini brads and some stitching on Noah's shoes. I can't wait until the weather is nice enough to swing in a tire from a tree. I am so excited to be back on the Little Red Wagon challenge team. 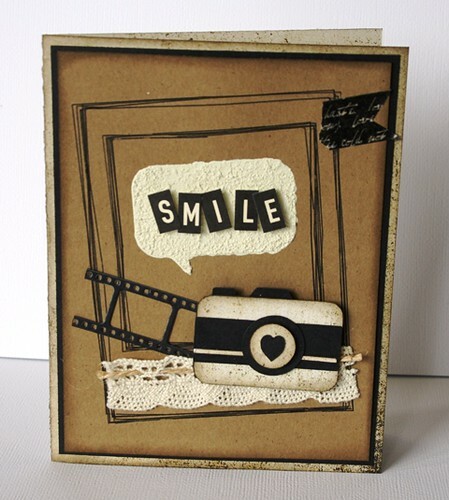 Each Wednesday one of 'The Girlfriends' will post a new challenge that we hope will inspire you to try something different with your scrapbooking supplies. This week it is Rosanne's turn and she is challenging us to use a window! I didn't have an actual window in my 'wagon' of supplies, so I headed to Pinterest for inspiration. 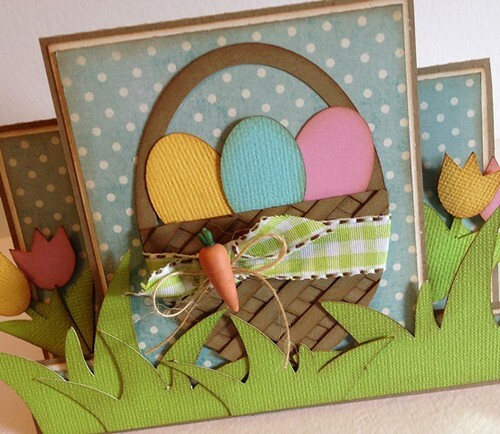 I came across an idea for an Easter card and here is what I created. 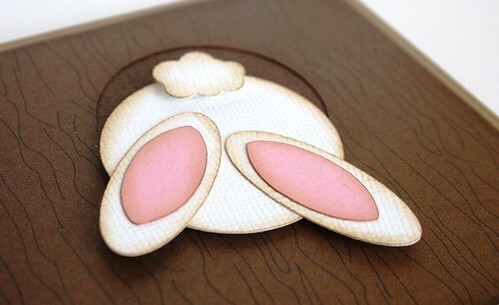 The 'bunny hole' is the window in my card! I created the rabbit using the shape tools on my Silhouette.....yup, I didn't even buy a file. The tail is actually a cloud that I had purchased a while back and I just re-sized it to fit. The grass is also a Silhouette file that I had from a previous project. 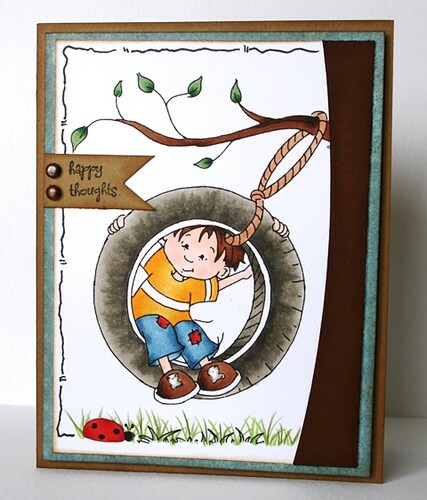 I found this Stamping Bella stamp in my stash and thought is was perfect for my card. I hope you will give this challenge a try. It was a lot of fun and I am very pleased with my creation. 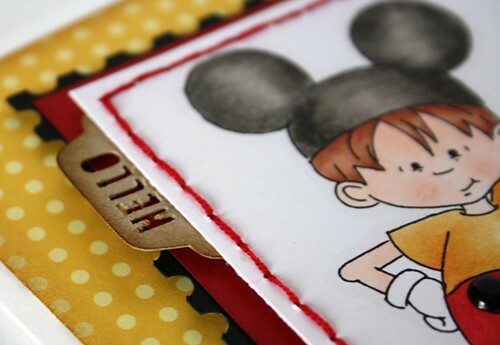 You can visit the Little Red Wagon blog and see what the other 'girlfriends' have created. Be sure to link up your project so we can all see what you created too. I just love when Easter is approaching. 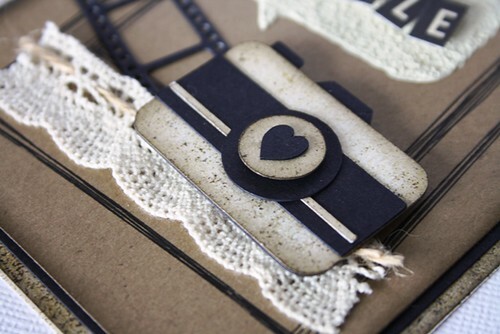 There are so many different paper crafting ideas that I want to try. 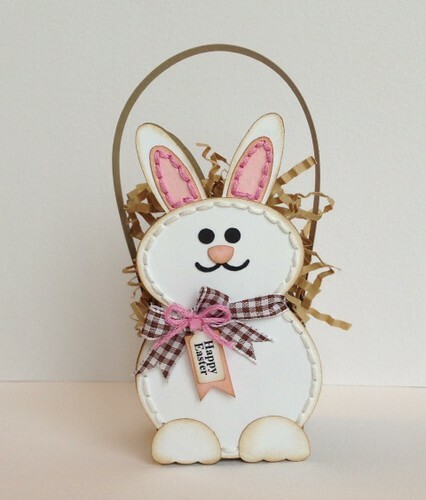 This week at The Cutting Cafe, I worked with the Bunny Treat Box. 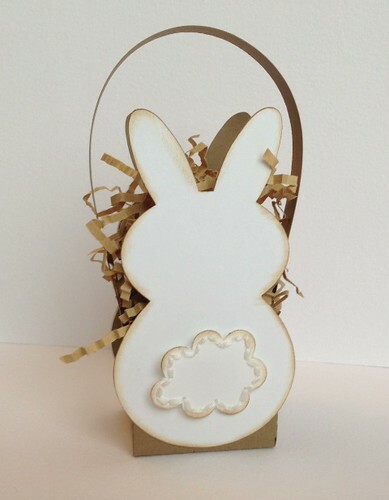 It is perfect to hold some Easter candies or even a coloured egg. I added a ribbon and then a little tag tied on with floss and a bit of bling. The back is just as cute as the front! I added some stitching to accent his tail and then I popped it up using foam adhesive. Thanks for stopping by. 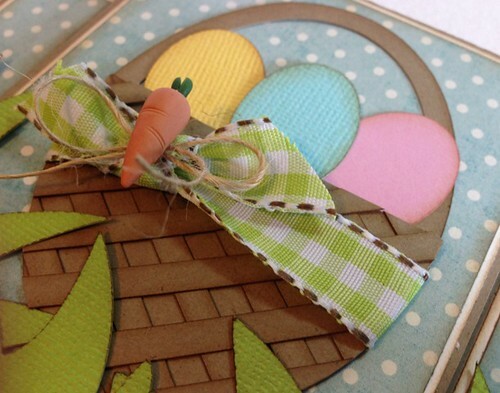 Tomorrow I will be posting an Easter card for my first project for Little Red Wagon. Hope you drop by again. 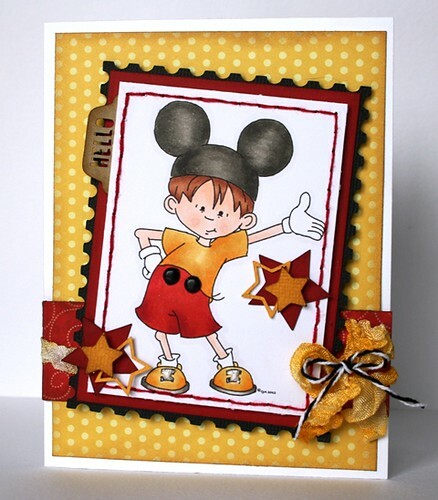 I want to share a card that I made using another one of Sassy Cheryl's awesome digital stamps. This one is called Noah is all Ears! You can visit her online store here. 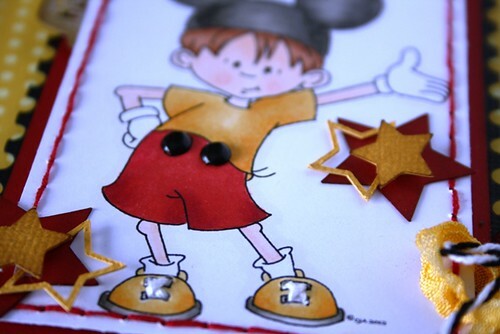 After I had this one all coloured I added the red and black cardstock mats and some stars for embellishments. I stitched his shoelaces with some white floss and the border around the card with red. 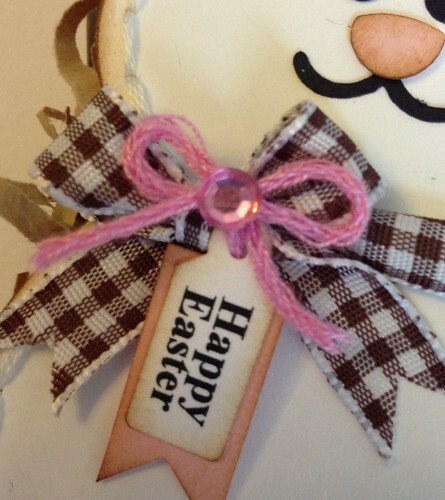 I added a bow with some bakers twine and crinkled ribbon. I used a tab with 'hello' in it for my sentiment. I found this on my Silhouette. Love that machine. I also added some black brads for his buttons. Thanks for visiting! I have lots more to show you, so come back often. 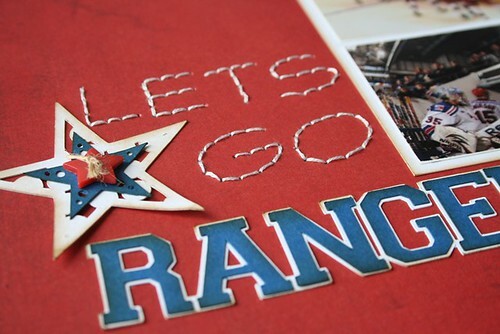 I am so excited to share my latest layout for my Ranger album. It has been quite a while since I have had the opportunity to work on a page for this book. This is the second page for the game on October 21st against Kingston. I had a lot of photos and they didn't fit on one page......so I had to do two. I incorporated one of our tickets into the layout too. 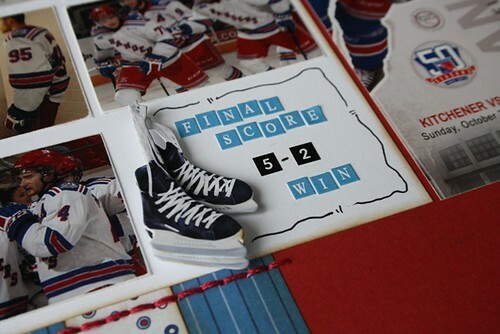 I used some 3D stickers and these skates were a perfect accent for my journaling. 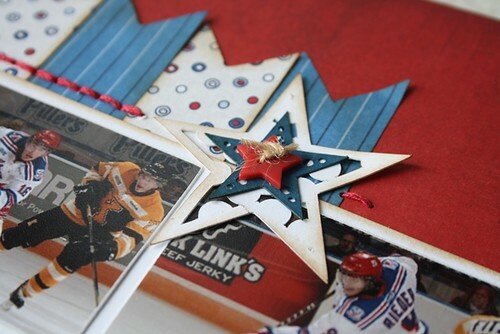 I used a star set that I purchased from Silhouette and some star buttons I had in my stash. I love banners so I created a bunch for the backdrop of my design. 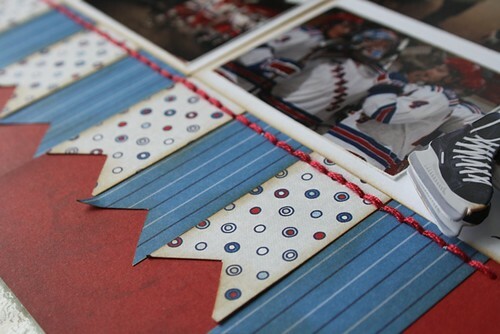 I added some 'Ranger' red stitching to accent the border. I did some hand stitching for my title......which I am very happy with. Hopefully I am on a roll with some layouts and will have more to post soon.